Four years ago my husband lost his job. I was a stay-at-home mom, and he was a pastor. We were in the thick of raising our younger six children, and we were exhausted. Our children have a range of special needs including learning disabilities, cognitive delays, medical needs, and exposure to childhood trauma. We talked a little longer, and we both agreed that we would use our savings and try for one year to build our hobby writing into a business. After some quick calculations, we knew that if we were careful, we could sustain our family for one year. The next few months were a blur of adjustment. I went back to work part time, Mike immersed himself into writing, and we all learned to be mindful of our finances. As winter approached, we sorted our winter coats and realized we were short a few. (Can you believe the kids had the nerve to keep growing without checking the bank account first?!) As I sat amongst winter coats, hats, and gloves, taking inventory of what we needed to buy, I saw a 15-passenger van pull up to the house. I did a double take before realizing it was a friend of ours from our children’s theater group. She has seven kids, and we have eight, so we had become instant friends. I opened the door as she reached the front step. She said, “I hope you don’t mind, but I was on my way to Goodwill and decided to stop here first. Do you have any need for winter coats?” I nearly fell over with laughter. The winter coats she dropped by were exactly what we were missing. I wasn’t embarrassed. I didn’t feel like a charity case. I just felt loved. A few months later, my daughter’s therapist pulled me aside and asked if I would be interested in receiving presents from an organization they worked with at the holidays. This time I did start to cry. We were still doing okay, and our bank account was holding out, but extras like Christmas presents were feeling a little out of reach. I was embarrassed as I wiped a tear and told her yes. We set up an appointment to go over items the kids might like—favorite colors and sizes and such. A few weeks later, we arrived at the office to pick up the gifts. The team of people who purchased, sorted, and wrapped them were surprisingly quiet. They shook my hand, looked me in the eye, and helped me carry packages to the car. Just as I was about to close the door, an older gentleman said, “Wait, there’s one more.” Then he slipped a package through the hatchback, and I could see “Mike and Kristin” printed on the tag. I raised my eyebrows in surprise. “We heard you might need that.” He smiled, shook my hand again, and then returned to the building. I left the parking lot and had barely rounded the corner when I burst into tears. It wasn’t the generosity that overwhelmed me. It was the dignity and respect. The givers had not taken credit or waited for praise. They gave me something to give my children and allowed me to be the hero of the story. I wasn’t embarrassed, and I didn’t feel like a charity case. I truly felt loved. I have learned a lot about charity from being on the receiving end of it. Here is some advice I have for others who want to help at the holidays. Do not gush all over, photograph, or record the recipient. Do not talk down to the person you are trying to help. Picture yourself in their shoes and treat them the way you would want to be treated. Look the person in the eye, shake their hand, introduce yourself, and call them by name. If it were you, how would you want someone to help? If they are going through a hard time, let them be the hero for a moment. If you are working in a food pantry, allow participants to carry their groceries in regular brown paper sacks. 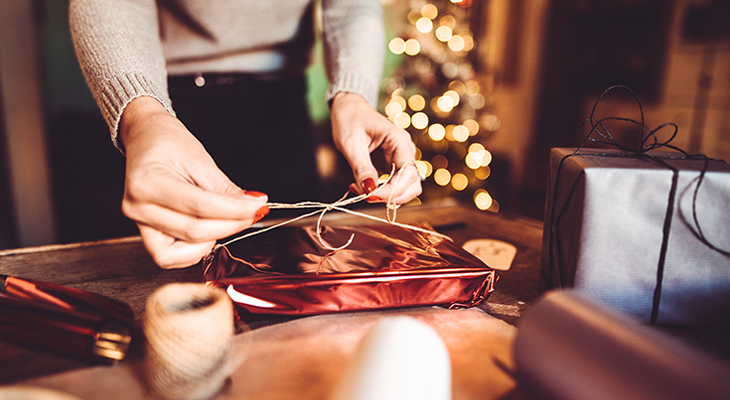 If you are purchasing presents, allow the recipient to wrap them or label them for their own children with their own handwriting. Everything you do for others should be done in secret. Receiving charity somehow feels like an admission that we have failed. Give to others in a way that allows the recipient to feel respected, honored, and dignified. Kristin Berry resides just outside of Indianapolis, close to her two grown children, sons-in-law and three adorable grandchildren. She is the former foster mom of 23 children, mom of 8 children, all of whom were adopted, and the wife of Mike. She writes and speaks with her husband at confessionsofanadoptiveparent.com, a ministry they started to share hope and encouragement with foster and adoptive families. Most days you can find her reading a book, playing outside with her kids or caring for her family’s pet donkey, Meg. Kristen, We have known you & Mike for many years. We have seen you give so much of yourself to others in such warm, heartfelt ways. You took a young teenage girl who was scared, felt abandoned, (even by us) and loved her back to feeling like a strong young woman. Sure, she is not perfect…none of us are, that’snot even expected. Your love, your faith, your discipline with love helped her find love of self, God and made her a great mom following your example. Thank you for sharing this very personal circumstance.